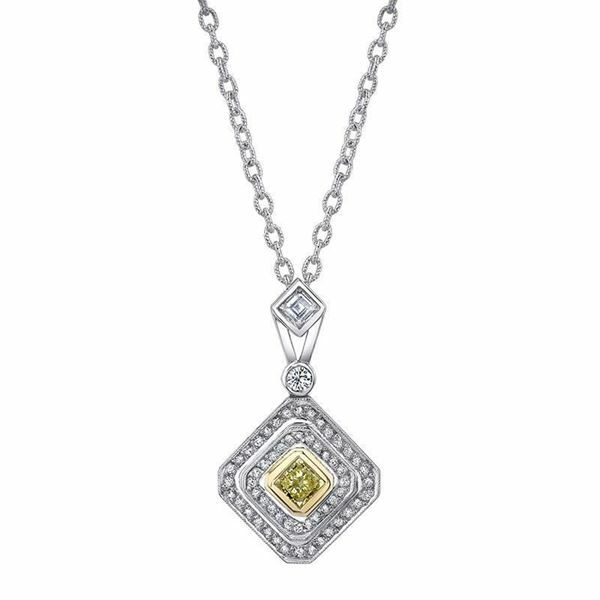 Double Halo Pendant in Two Tone Gold Diamond Necklace by NINACCI and sold by Bayside Jewelry. This Double-Halo Pendant in Two-tone gold, held by an Asscher cut and Round stone, a Bezel Fancy Yellow Princess Cut centerstone, and 56 colorless Round diamonds. Total weight 3.82ct.